Un nuovo incontro con i ghepardi! Beit al-Faqih, Yemen – The dealer and prospective buyer were casually introduced to one another, and two small cheetah cubs were brought into the room. Visibly underweight and with dirty yellow fur, they limped and meowed meekly.The animals were weak and slow, and their skin hung loosely from their bones. Two other cubs had perished and their emaciated carcasses lay nearby. 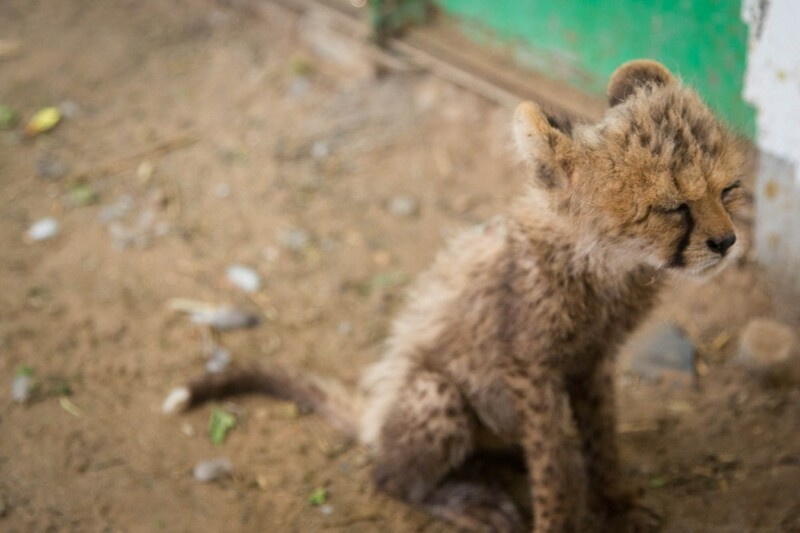 Ali, a dealer of rare animals in Beit al-Faqih, a city in western Yemen, claimed to have had eight cheetah cubs in his possession. Four had recently been sold to a Saudi family, he said on the condition of anonymity. It had only taken an hour in the city’s Friday animal market to find him. Posing as buyers for a European zoo, nobody questioned why two tall, white foreigners were looking to buy African animals in Yemen. None of the livestock traders who descend on the city each week seemed surprised when asked if they had lions, leopards, or cheetahs for sale. While the exact numbers are unavailable, the trend seems to have put a dent in the cheetah population across Somalia, whose autonomous Somaliland region – located across the Gulf of Aden from Yemen – is used as a staging ground for the smuggling. In an ironic twist, Yemen, the poorest country in the Arab world, is now allegedly one of the world’s most lucrative conduits for wildlife crime. From sparsely populated beaches in Somaliland, the animals are shipped across the Gulf of Aden and the Red Sea, and arrive on Yemen’s western coastline. The animals often change hands again, between dealers in Yemeni cities like Haradh and Beit al-Faqih near the Bab al-Mandeb peninsula, before heading north along a wide tarmac road that runs towards the country’s northern border. Neighbouring Saudi Arabia’s porous frontier has been turned into a wildlife superhighway. Lawlessness in Yemen and the Horn of Africa create a profitable atmosphere for the illegal wildlife trade. Yemen’s government, which faces major challenges from separatists in the north and south and attacks by al-Qaeda-affiliated fighters, struggles to prevent the trade in wild animals. The country’s former environment minister and lifelong conservationist Abdulrahman F al-Eryani is pessimistic about the potential for greater enforcement in the country. Yet a recent resolution by the UN’s Economic and Social Council suggests strong links between the illegal shipments of guns, people, drugs and wildlife. Regardless of the perceived morality, demand for exotic pets in Dubai, Jeddah and Doha can fund far more serious crime in the region. Every day at Cheetah Conservation Fund in Namibia, we welcome visitors, including school groups from all over Namibia and from around the world. They come to our International Field Research and Education Centre and learn all about the cheetah, its race against extinction, and how they can help. Gebhardt Nikanor (we call him “Gebs”) as CCF’s Education Officer, travels all over Namibia, bringing CCF’s education programming to school learners throughout the country, teaching Namibia’s next generation about environmental stewardship, and about the cheetah. This week, the Disney Worldwide Conservation Fund honored Gebs as one of its 2013 Disney Conservation Heroes,an award that comes with a cash prize that is shared between the winner and his nominating organization. Gebs is a native Namibian, and his work for CCF stands as an example of how your support of CCF makes a difference not only for the cheetah and its ecosystem, but for human communities as well. Gebs has reached over 100,000 Namibian youth over the course of his 12 years as an Educator at CCF. “Returning to these schools where I have developed relationships with the teachers and the learners has provided a strong basis for on-going environmental education. I want each of the learners to have a deep appreciation for all of Namibia’s wildlife species,” he says. 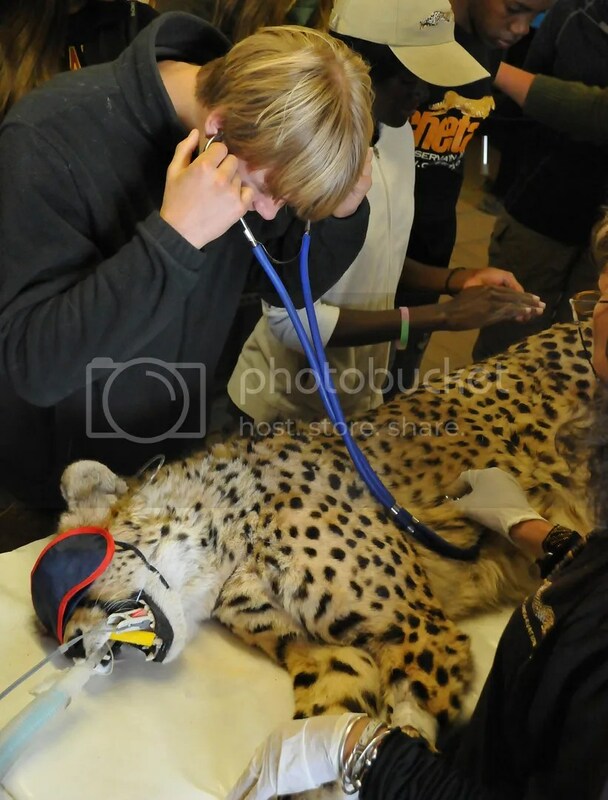 CCF’s education programs at our International Field Research and Education Centre, at our weekend camp facility Camp Lightfoot, and in Namibian schools have reached over 300,000 school learners, instilling in them an appreciation for the cheetah and a desire to protect their wildlife treasures. What inspires me is that Gebs’s dedication is by no means unusual among the CCF staff. Every day here at our facility in Namibia I am proud to work with men and women from Namibia and around the world whose commitment to excellence, and to saving the cheetah, is without equal. Gebs isn’t the first staff member to be recognized as a Disney Conservation Hero — our Senior Ecologist and Education Officer, Matti Nghikembua, received the same honor in 2006. Knowing I have such a wonderful team of individuals around me to help us win the race to save the cheetah is heartening. But in addition to great people like Gebs and Matti, we need resources. 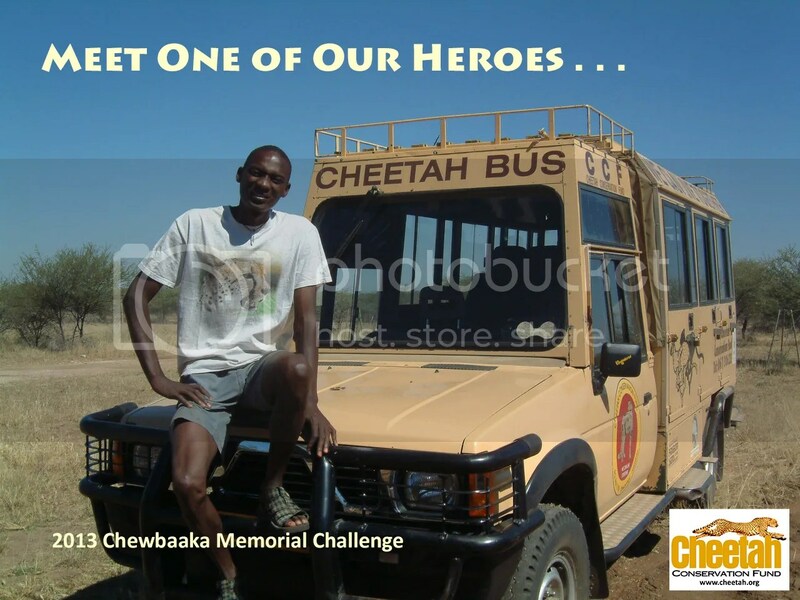 That’s why your generous contribution to the Chewbaaka Memorial Challenge is so important to us every year. We’re in the final weeks of this important campaign, which provides much needed funds for our education programs and other operations in Namibia. And every dollar you give up to $176,000 will be matched by our Challenge Donors. We’re really proud of Gebs, and pleased to share with you how one of our CCF heroes is being honored by the Disney Worldwide Conservation Fund. As part of our global CCF family, your support helps make moments like this possible. Cheetah Conservation Fund’s Educator, Gebhardt Nikanor (far left), has reached thousands of Namibian children and youth to foment an understanding of the importance of wildlife to preserve healthy eco-systems. 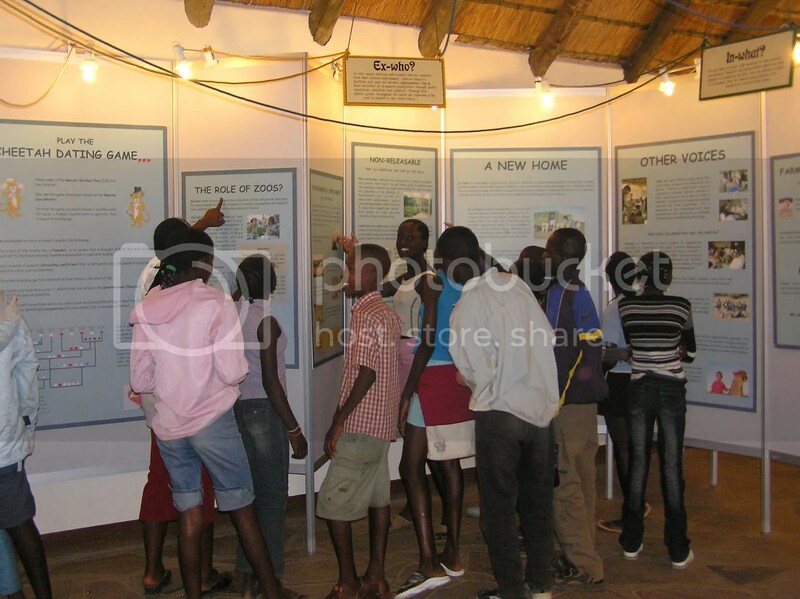 Namibian school learners visiting our Education Centre in Otjiwarongo, Namibia. 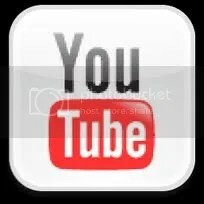 You can watch the same video our visitors in Namibia see here. A participant from a recent National Geographic Student Expeditions trip learns from the staff at CCF’s Veterinary Clinic. Follow us on Facebook, Twitter, YouTube and our blog! Click here to modify/update your subscription.